Tickets heavily discounted for early bird, sales end December 5th! Join us on Friday, January 5th as we dissect the fabric of India's economy at the 22nd Wharton India Economic Forum: Diversify. Disrupt. Deliver. We dabble with ideas to diversify governance and human capital, identify trends that will disrupt industry through innovation, and discuss how to deliver impact to society. From policy to media, academia to industry, we bring together India's top leaders under one roof to discuss the most exciting opportunities and pressing issues. This year's slate of speakers continues to grow and promises to be one of our best ever. 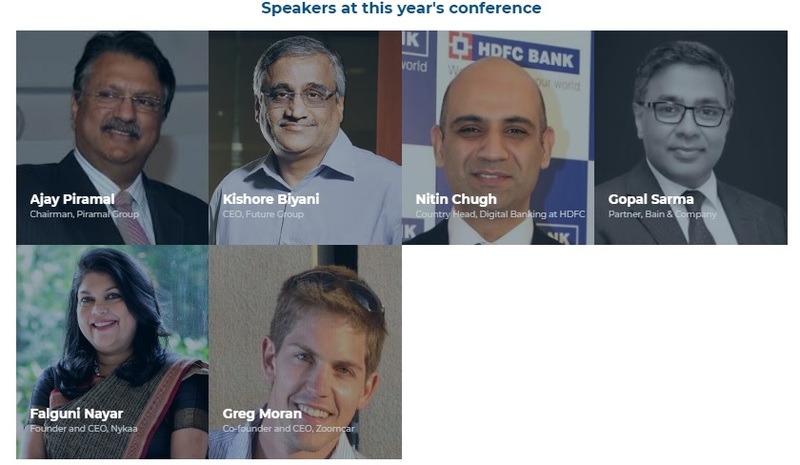 among several others, will share their unique perspectives on India's evolving economic landscape. Ten finalists of our startup challenge will pitch to a panel of esteemed judges including the likes of Rehan Yar Khan (Managing Partner, Orios Venture Partners), Sandeep Murthy (Partner, Lightbox Ventures) and more, to win the Wharton India Startup Challenge award. Please tweet about us @wief2018 and visit our Facebook page to help spread the word.